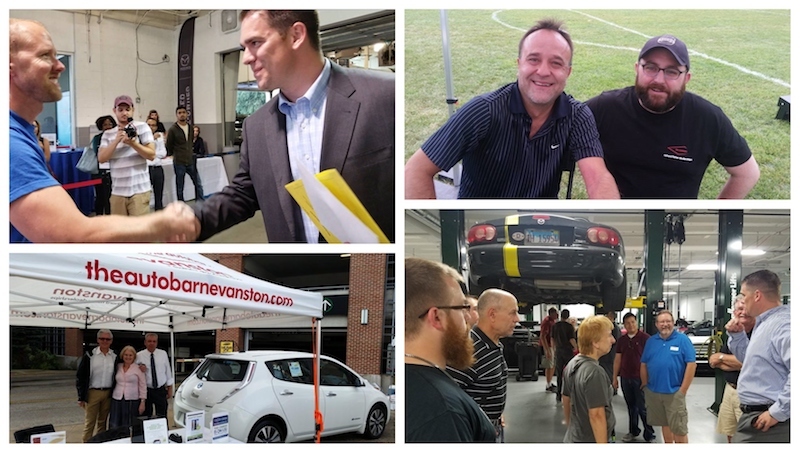 The Autobarn of Evanston is a family-owned and operated dealership group, selling and servicing Mazda, Volkswagen, Nissan, and Alfa Romeo - FIAT brands across four beautiful dealerships here on Chicago Avenue in Evanston since July 1992. We have been called "The Car Enthusiast Company." We love selling and servicing cars, and are also absolute car enthusiasts! We read about cars, we’re active in car clubs and motorsports, and we’re proud that the brands we represent all have a rich history of enthusiastic followers and motorsport participation. At the Autobarn, our culture of Integrity, hard work, excellent customer service, and the best possible selection of vehicles in the area shows why we are considered one of the premier automotive shopping destinations in Chicago. Additionally, two years ago, we opened a state-of-the-art 128,000 square-foot Service and Parts Center right here in Evanston. Soon, all of our brands will be serviced at the Tech Center and our dealerships on Chicago Avenue will all have fully renovated Sales facilities. Our team enjoys training programs, a fantastic culture and opportunities for advancement, which is a company-wide focus that will help you grow both personally and professionally. We're interested in helping your career and watching you grow. We have always believed that the only path to genuinely satisfied customers is through genuinely satisfied employees. If you'd like to join our team, please take a look at our open positions on the Careers page and apply today!